If you’re searching for an auto parts store in Jenkintown or near Philadelphia, Willow Grove and Abington, come to Sussman Acura! We have a full stock of car parts so you can do your own repairs. It’s simple to get the parts you need at Sussman Acura, just fill out the form above or come to our Jenkintown parts store to speak with an expert today. We carry plenty of parts such as brake pads, rotors, tires, batteries, spark plugs, air filters, and more! Make Sussman Acura your one-stop shop for auto parts in Jenkintown, PA. 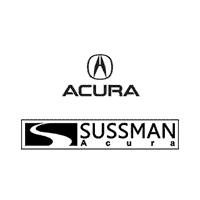 If you’re not sure you can complete the auto repair yourself, the Sussman Acura service department can help! We’ll perform any auto repairs or maintenance that you need for your Chevy, Buick, or pre-owned vehicles. Give us a call with questions at 215-572-1800 or stop by our Jenkintown dealership today!